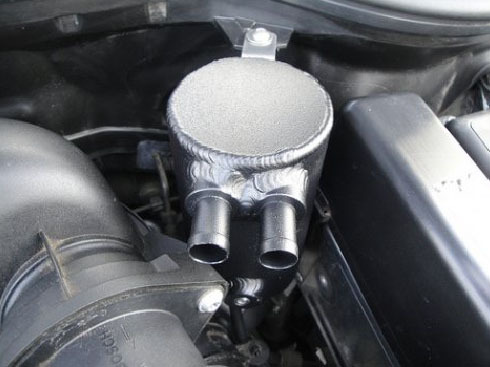 This BSH oil catch can for your R55, R56, R57 MINI Cooper S Turbo has many features. The catch can itself is 3 inches in diameter and have a steel mesh inside for the oil vapors to condense too. 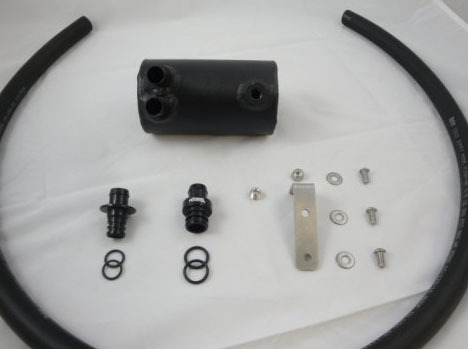 The fittings are CNC machined from aluminum, and are a direct plug into the the engine with no modification. 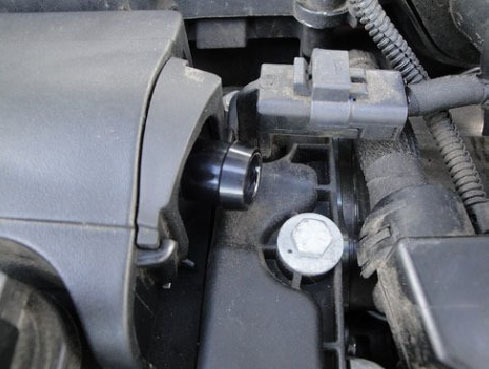 This is the only oil catch can for the MINI with a mesh baffle in it to have the oil condense to it. NEW, BSH oil catch can now comes with an oil level dipstick to check how much oil is collected. Installed this on my 07 MCS couple months ago and I cannot believe the amount of crud it collects. I check it every two weeks and get a little water/oil mix out each time. One of the best mods or add ons you can get. Had to wait to long for delivery cause it was backordered. Finally installed this and am not overly impressed, so I hope it works to make it worth it. 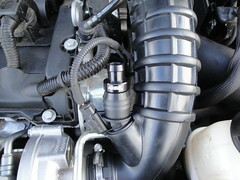 If you have a cold air intake like the ALTA, it is a really snug fit if using the accessory tab. The picture is very deceiving and you have to delete the clean air duct- hopefully that part is not really necessary anymore ;). Install should be easy, but I had some issues with this product. The O rings for the senor fitting were too big and caused them to bunch up making install almost impossible. And make sure you have some hose clamps on hand cause the supplied hose did not stay snug on the fitting. Probably because everything is so cramped now that you can not make clean bends with the supplied hosing. Had to make sure the hood was not smashing anything when closed. Also, this thing makes the engine bay real messy looking with all these xtra black hoses all over. Hope it works.